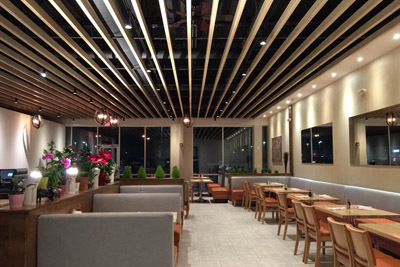 The first of soon to be four chains of this family owned restaurant, Mo’s Chinese Kitchen #1 opened its’ doors to customers in 2004 with two brothers. With authentic Chinese owners and chefs Mo’s Chinese Kitchen offers a variety of traditional and modern Chinese cuisines. The owner Mo frequently pays visits to China to bring back the new tastes or dishes they are trying in mainland China to keep their flavors original and alive. Recently, Mo’s Chinese Kitchen #1 decided to mix things up with adding a Japanese twist to their menu. 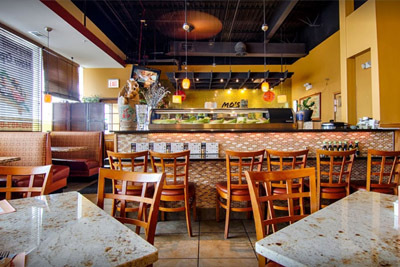 Now, Mo’s is not only a Chinese Kitchen but an Asian Fusion Kitchen, serving Japanese appetizers and sushi. Sister store to Mo’s Chinese Kitchen #1, Mo’s Chinese Kitchen #2 is owned by their sister. Keeping their flavor true to their family name, although owned and run by different members of the family, Mo’s Chinese Kitchens shares their recipes and flavors to keep the quality the same between all their locations. Located in Marley Creek Square next to Jewel Osco, Mo’s Chinese Kitchen #2 is open 7 days a week and offer a variety of services. From dine in to catering to delivery, they do it all. Like their first predecessor, Mo’s Chinese Kitchen #2 has added on a Japanese menu to their keep their variety broad and open. Mo's Asian Bistro is new addition to the Mo’s Kitchens family. 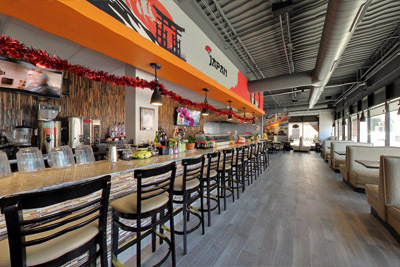 Much like our sister locations, you can find delicious Chinese and Japanese cuisine at our establishment. Combined with dine in and carry out services, we also offer delivery and catering.